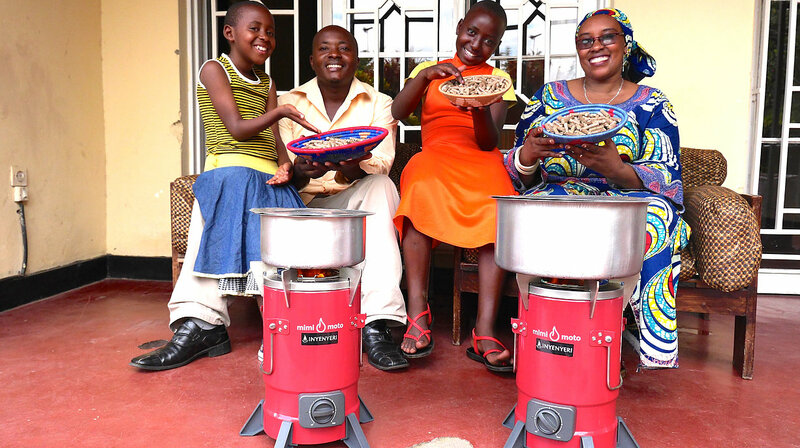 Inyenyeri is a pretty amazing non-profit organization which is providing very low cost super efficient home cook-stoves and locally produced fuel pellets. The impact in cleaner indoor air, less charcoal burning, and breaking the cycle of energy poverty is something to behold. I don’t know which lab they use. Back when I was farming, I used A&L Western Labs, and that may be the company they use. You can also check with your state agricultural extension office. 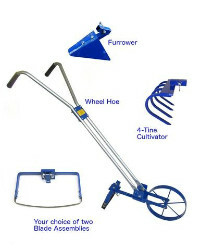 I would recommend the more complete soil test, which through Peaceful Valley costs about $50. A complete test, with recommendations and the graph is going to tell you about soil pH, major nutrients (N,P,K) and micronutrients. 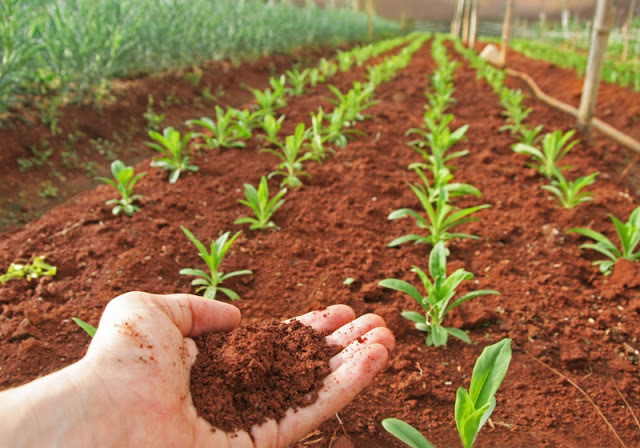 The cation exchange capacity and the levels of sulfur and magnesium can be important, both for soil texture issues (as in, how to loosen a tight clay soil with gypsum), and for improving the taste and nutritional value of your crop. Sure, adding compost is great, but you might need some rock phosphate, or some limestone (for acid soils) or some gypsum (for alkaline soils) Perhaps your boron is too low, or too high. 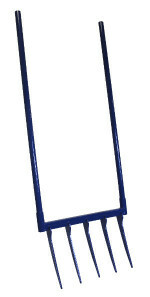 You can only know this from a professional soil test. A separate question, is what kind of soil to use for starting seeds in flats. Don’t just get a potting mix without nutrients. The plants will run out of nutrients and turn yellow. But if this happens, don’t do something stupid like adding some bat guano. I did this once and burned up 72 tomato starts in a seedling tray. You are growing food for your health, among other reasons. Nutrient dense foods are the result of planting in balanced soil. Not deficient, and not excessive soil nutrients. More to come next week…..
We are seeing more and more vegetable production in hoophouses, including in climates where it might not seem necessary. I know two farmers here in the Chico area who are growing quite a bit of their lettuce and other vegetables in hoophouses. If you read Andrew Mefford’s new book, you will understand why. Andrew is growing vegetables in inland Maine, certainly a challenging climate, where season extension makes perfect sense. But he clearly explains the case for greenhouse and hoophouse production in almost any climate. There is a lot more to raising crops in structures that just erecting a building. This book lays out the details (with great color photos). Take advantage of Andrew’s seven years experience working for Johnny’s Seeds, as well as his own learning through trial and error. 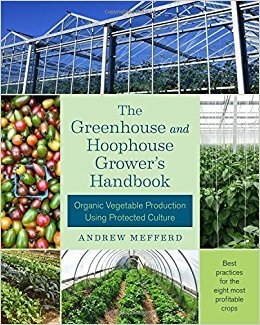 Anyone considering hoophouse or greenhouse production should get this book.